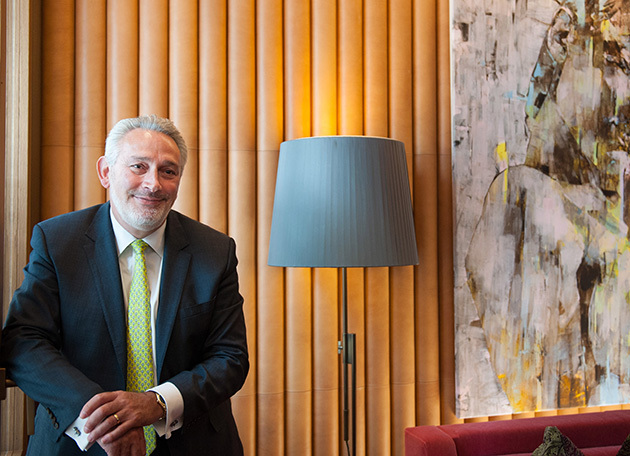 Anthony Lee was appointed General Manager of Hotel Café Royal in January 2014, bringing with him over 40 years of experience and a comprehensive understanding of London’s luxury hotel scene. The Café Royal, once a Bohemian home-from-home for the likes of Wilde, Whistler and Coward, is thriving again under the careful watch of Anthony Lee. The amiable GM knows exactly what to do should summer hay fever or an unexpected heat wave strike. Simple. Head straight to the celebrated Green Bar where the perfect tonic, courtesy of head mixologist, Antonio Catapano, is administered. No prescription required! “I have always said, cancel your appointment at the doctors and come see Antonio! If you are one of those that also enjoy the finer things in life but still want fun, then join our member’s club at the Café Royal and enjoy a drink in our library bar. The photo which hangs there is evidence of my shopping indulgence and frankly, I plead guilty! Prior to the Café Royal, Anthony spent nearly 31 years at the Connaught. As General Manager there, he has plenty of tales to tell. These include carrying Grace Kelly’s bags to the hotel’s penthouse, sipping a martini with Cary Grant and walking Lauren Bacall’s dog Sophie. The part I love most about Hermès, aside from the leather goods, is its ties. Now, we men can be a bit staid and boring compared to most women when it comes to fashion but we are catching up fast. Just look at the success of the London Collections Men. When we (men) have to wear a suit, our splash of colour comes by way of a beautiful tie. My favourite shades include a really intense light green, which helps me think ‘cool’ on hot summer days. I once owned a huge collection of Hermès ties but five years ago, I had a clear out and donated around 50 of them to charity. Now I regret it but at least they went to a good cause. I have been lucky to receive many wonderful comments on my ties. As for the rest, I’m still working on it! There is only one William & Son and it sits here on the corner of Bond Street. This family business has been uncompromising in its pursuit of quality and individuality. There are many wonderful shops for jewellery, fine clothing, hunting guns and pieces which make a home truly individual to reflect its owner. But here, all of this sits under one roof. The last gift I received from William & Son was the most beautiful iPad holder. It is crafted in a gorgeous duck egg blue coloured leather and has become a much admired accessory. The team that work with William and his father are amazing. They guide you through a minefield of choices to find the perfect present. My wife has had her eyes on a pair of earrings for some time and I’m not sure how much longer I can holdout! The two scents I adore are Pomegranate Noir, which for me is more of a winter cologne, and Vetyver for the summer. I could drink the stuff! Now for the bad news. The brand dropped Vetyver from its range a year or so ago and I immediately went into mourning. I could not believe it, as it was my absolute favourite. Luckily, I have one bottle left in my office, which I keep for special occasions. Once that is gone, well… I caught up with Jo recently, and as usual admired her achievements – from buying back the shop from where she began her business all those years ago, to launching Jo Loves. Good for you Jo and for being the best of British! There is nothing quite like this quintessentially British brand anywhere in the world. No other stationer offers the quality and several hundred years of experience as Smythson. It has lifestyle written all over it! I am not normally a writer of letters but when they produce your own personalised stationery in practically any colour and style, you suddenly become more socially outgoing. You’ll find any excuse to drop a little note to anyone you can think of just because you feel the need to tell him or her about your new stationery. Have fun and enjoy this wonderful store and be sure to look into its history to fully appreciate what you are buying into. Hackett, one of my preferred menswear stores, is located just minutes from where I hide out at work during the day. It has an amazing range of casual clothes and a knack for producing cool and relaxed pieces. Currently, my favourite buys include fabulous jackets, which you can pair with jeans and great casual shirts. Slip on a pair of sunglasses (they have to be Persol!) and together with a chilled glass of wine, you are ready to watch the world go by. Georg Jensen: Sleek Danish Design, Innovation and Ingenious Craftsmanship. Remember the old adage, when one door closes another one opens? Such is the case, quite literally speaking, for Danish silversmith Georg Jensen. While last month saw the closure of its Bond Street flagship after 80 years on the block, there have been a flurry of new London store openings in Westfield, The Royal Exchange and Harrods. But nothing can compare to the bigger, bolder Georg Jensen flagship, which is set to open at No.89 Mount Street later this month. If you shop centrally and can’t wait for the doors to open, then the Danish brand’s new pop-up store in the Burlington Arcade, which houses the latest jewellery collections, Swiss-made watches, men’s accessories and silverware, should tide you over until then. Bright and compact, the elegantly designed ‘stopgap’ will run until the end of October. Not that this temporary space has the air here-today-gone-tomorrow about it. In fact the narrow three-storey space looks so at home in the arcade, you could be forgiven for thinking that it has been here for years – not weeks. Georg Jensen has been producing designs with a distinctive modernist aesthetic since its beginnings in 1904. Its sculptural forms combined with ideas of simplicity and functionalism, are unique to its Danish heritage. “Danish design is red hot right around the world right now,” says Steve Amstutz. As chief commercial officer, he is charged with overseeing the marque’s continued expansion in the UK and in other countries across Europe. “We are definitely surfing the fashionable ‘Danish’ trend while each of our designs remains true to our Scandinavian design values,” he adds. This can be seen in the latest pairings between the Danish design house and two of Australia’s most celebrated designers – conceptual jeweller Jordan Askill and industrial designer Marc Newson. 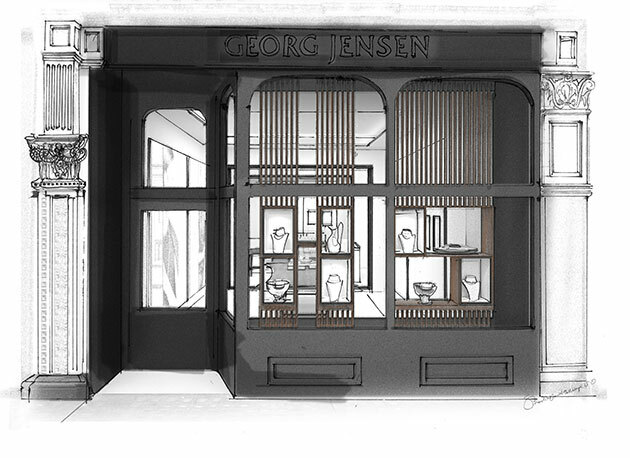 Their specially commissioned collections for Georg Jensen will launch in September. In creating his namesake “Askill Collection’, the jeweller takes inspiration from the natural forms of the Art Nouveau era and the use of oxidized silver in many of the archival Georg Jensen pieces. As part of his research Askill scoured the 111-year-old library of jewellery sketches and chose the butterfly as a modern symbol rather than choosing it for its traditional decorative appeal. “I was looking for an organic metaphor, a representational object that I could change using 3D methods to create interesting jewels, almost like a pop art approach,” he explains. Meanwhile, Marc Newson has created a limited edition silver tea service. Just ten have been produced comprising a teapot, coffee pot, creamer, sugar bowl and tray – all stamped with the initials ‘MN’. Newson’s design brief? To shake the family heirloom image of tea sets and reintroduce them to younger luxury aficionados. Danish pastries are optional. Whether dashing into her Dover Street store or striding across LAX airport post transatlantic flight, Victoria Beckham is rarely snapped without her signature cover-up shades. At £345 a pop, these mirrored aviators from Beckham’s current spring/summer collection are crafted from lightweight metal. 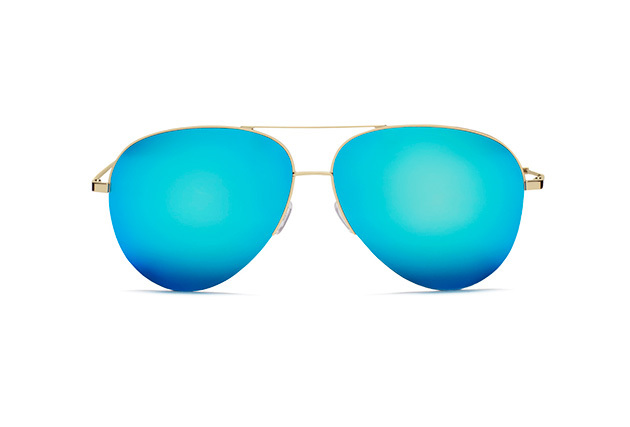 The blue lenses also provide 100 per cent UV protection from August’s dazzling rays. A word of advice to those hoping to avoid the limelight – there’s no going incognito here! 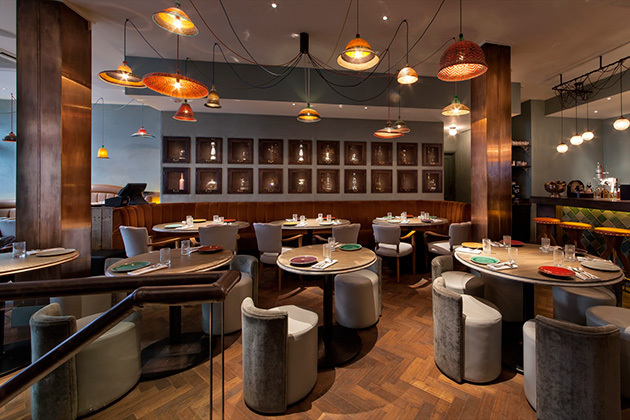 ‘Peyote’ may take its name from the hallucinogenic drug used in Shamanic healing ceremonies, but there’s nothing untoward about this modern Mexican restaurant on London’s Cork Street. On a sultry summer’s day when only salad and fresh fruit will suffice, I am pleasantly surprised to discover that Peyote boasts a healthy menu, brimming with clean and lean Mexican dishes. 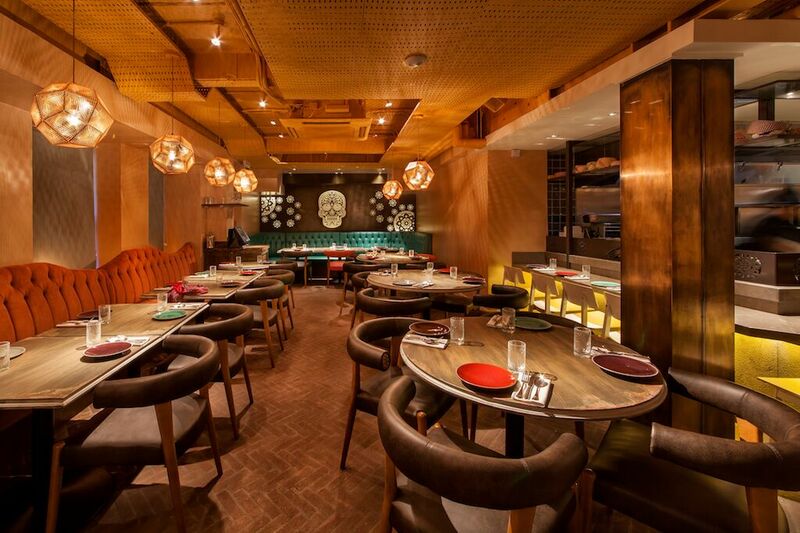 Eduardo Garcia, the master chef behind Mexico City’s celebrated ‘Maximo Bistrot’, has specially created it. My lunchtime host, Peyote owner Tarun Mahrotri, informs me that the menu is ninety per cent carb-free while the crunchy tostadas and tacos being corn, are totally gluten-free. There’s more good news for the time-starved who work locally. Peyote’s new lunchtime delivery service is now up and running. Ever the modern entrepreneur, Mahrotri casually lets slip that just last week he was climbing Mount Kilimanjaro. Today though, he looks as cool as a cucumber dressed in a crisp white shirt, (monogrammed on the hem of the shirt front), jeans and heavy-framed specs. He orders the guacamole to start. It is good. Fresh and zingy thanks to a good squirt of lime and a light hit of chilly. Mahrotri is also on a mission to improve tequila’s reputation and plans to run tequila tastings at the bar later this year. “So many people have bad memories of drinking cheap tequila shots in their youth but it can be an incredibly sophisticated drink,” he says. I imagine this would be a cool setting in which to sample tequila and any other of Peyote’s mescal-fuelled cocktails. The interior has a subtle hint of an old-style hacienda about it. There are painted tiles, oak window shutters and parquet floors as well as bejewelled ‘Day of the Dead’ skulls set into the walls. Colourful lampshades, made from recycled plastic bottles found in the Amazon jungle by war-displaced artisans, are dotted around the ceiling. Meanwhile, my host orders the ‘Nopales Salad’, made with grilled cactus leaves. Having never tried cactus before I can report that it has a green-peppery bitterness about it – but it’s good. This is accompanied by the yellowtail sashimi served in a ginger broth. Lastly, the grilled fish wrapped in a lettuce leaf instead of a corn taco. The portions are bite size but just right. 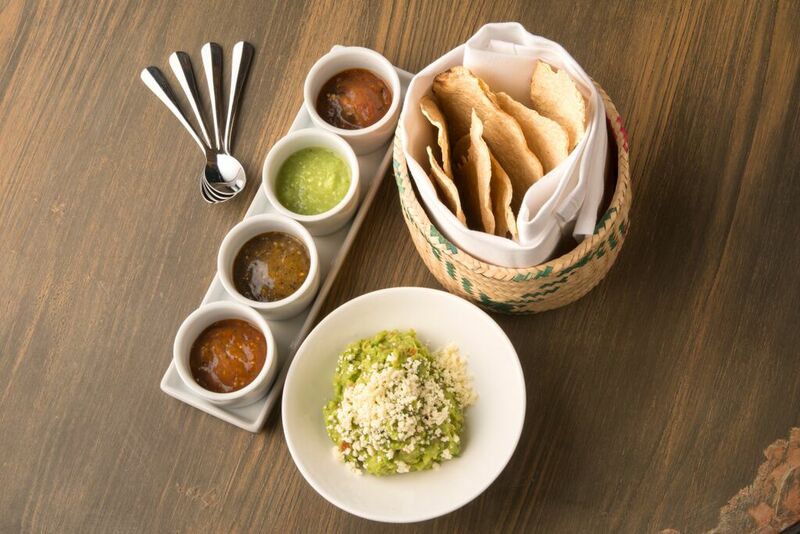 Thanks to chef Eduardo Garcia’s modern vision and the pioneers behind other new-wave eateries including Mestizo, Lupita and Wahaca, London is fast becoming a mecca for authentic Mexican food. Gone are the days of heavy quesadillas smothered in gooey cheese and tacky Tex-Mex interiors. These days, there’s rarely a plastic cactus insight. I leave Peyote with a spring in my step. And while there’s no chance of any dream-inducing ingredients pepping up the guacamole here, I think I’m already experiencing withdrawals.